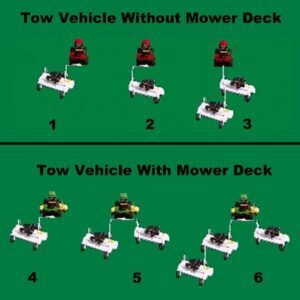 The mower uses a manual lever engagement system. The cutting height is easily adjusted from 2″ – 8″ by turning a single crank. 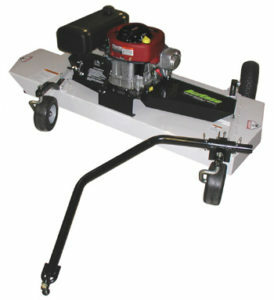 The AcrEase Mower comes with a large 19 HP electric start engine. The main deck and side plates are built out of 8 GA (.164″) steel. The backbone of the deck is an open channel design that is built out of 7 GA (.179″) thick steel. There is also an additional 1/4″ thick steel plate welded in the blade spindle mounting location. The three layers of steel in the blade spindle mounting area add up to over 9/16″ thick. Electric Start Yes Height Adjustment Method Single Crank Assy.